Instructions: Each mode has ten levels to clear. 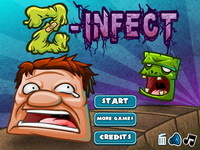 Click on capsules to use shots and set off chain reactions. Extra shot awarded for each combo of five explosions.